TKO 21: Collision from July 15, 2005 in Montreal, Quebec, Canada. 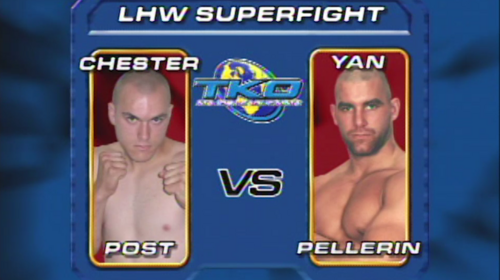 Yan Pellerin vs Chester Post TKO 21 Fri, Jul 15, 2005 (7:41) Yan Pellerin vs Chester Post at TKO 21: Collision from July 15, 2005 in Montreal, Quebec, Canada. 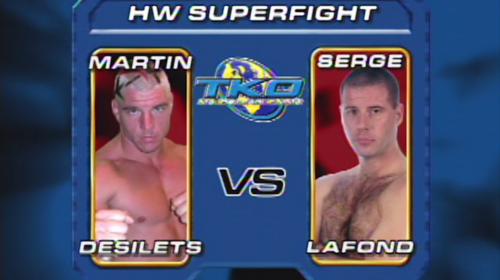 Martin Desilets vs Serge Lafond TKO 21 Fri, Jul 15, 2005 (14:07) Martin Desilets vs Serge Lafond at TKO 21: Collision from July 15, 2005 in Montreal, Quebec, Canada. 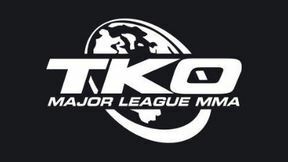 Fabio Holanda vs Blake Fredrickson TKO 21 Fri, Jul 15, 2005 (9:06) Fabio Holanda vs Blake Fredrickson at TKO 21: Collision from July 15, 2005 in Montreal, Quebec, Canada. 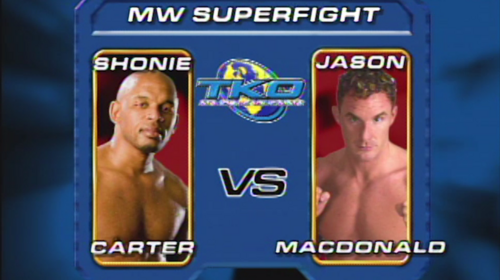 Shonie Carter vs Jason MacDonald TKO 21 Fri, Jul 15, 2005 (29:03) Shonie Carter vs Jason MacDonald at TKO 21: Collision from July 15, 2005 in Montreal, Quebec, Canada. 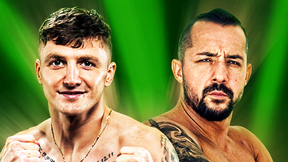 Thierry Quenneville vs James Haourt TKO 21 Fri, Jul 15, 2005 (21:30) Thierry Quenneville vs James Haourt at TKO 21: Collision from July 15, 2005 in Montreal, Quebec, Canada. 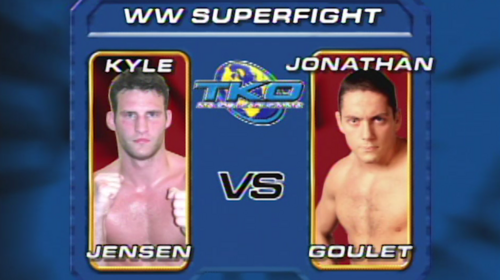 Jonathan Goulet vs Kyle Jensen TKO 21 Fri, Jul 15, 2005 (10:00) Jonathan Goulet vs Kyle Jensen at TKO 21: Collision from July 15, 2005 in Montreal, Quebec, Canada. 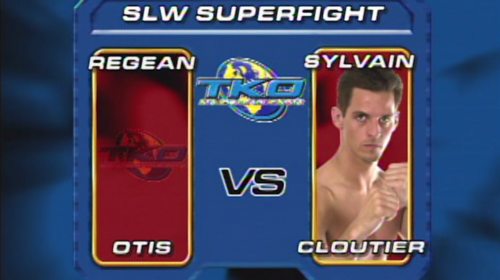 Sylvain Cloutier vs Regean Otis TKO 21 Fri, Jul 15, 2005 (17:18) Sylvain Cloutier vs Regean Otis at TKO 21: Collision from July 15, 2005 in Montreal, Quebec, Canada. 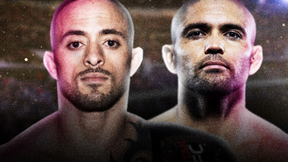 Greg Compton vs Dave Pariseau TKO 21 Fri, Jul 15, 2005 (11:13) Greg Compton vs Dave Pariseau at TKO 21: Collision from July 15, 2005 in Montreal, Quebec, Canada. Samuel Guillet vs Peter Franchi TKO 21 Fri, Jul 15, 2005 (9:07) Samuel Guillet vs Peter Franchi at TKO 21: Collision from July 15, 2005 in Montreal, Quebec, Canada.